How can I learn more about psychosomatic healing? People say the most important thing in life is your health, because without it, you can’t enjoy what life has to offer. So why do so many people pay so little attention to their bodies? Good question! Many of us live our day to day lives taking our bodies for granted, without a real appreciation for what our body provides them in every moment. Most people are unaware of the many influences on the shape and state of the physical body, particularly the mind! In order to have the body that you want, you have to firstly understand ‘why you are in the shape you are in’. Everyone’s body tells a story about their life experience. Without a spoken word, you can ‘see’ how a person lives in their internal world – how they tend to feel, react, behave and think in their day-to-day life experience. The most valuable revelation is how YOU experience life and how it affects the state of your body. You can experience the magic of psychosomatic healing through a hands-on course provided by the Australasian Institute of Body-Mind Analysis and Psychosomatic Therapy. Why – Why psychosomatic therapy? Psychosomatic therapy is about using the principles of the body-mind connection to create lasting positive change in all aspects of your life. You will come to understand the tangible impact the mind has upon the body and how you can see the affects of the mind by observing different physical traits. 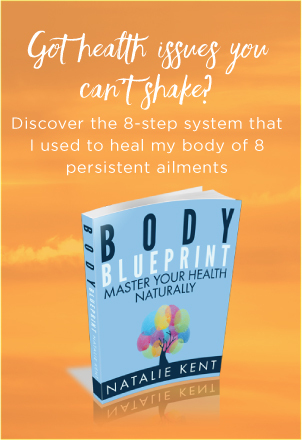 You will experience this first-hand by having your own body analysed from top to toe and you will be amazed at what you discover about yourself. This unique insight into your own character will make you see yourself and every person you meet in a different light! This is not just another classroom course. It’s an experience that will change the way your see yourself and more importantly, how you treat yourself. And not only that, you will come out with a qualification that is your ticket to sharing psychosomatic healing principles with your friends, family and clients. The above courses are nationally accredited in Canada and Australia. Why – Why is this course so highly recommended? Develop a deeper understanding of people in general and the potential for more harmonious relationships! How – How do I experience these benefits? Change – change your inner and outer worlds for good! As you learn how to achieve balance in your body, mind and soul, a course in psychosomatic therapy provides the ideal platform to begin your own healing journey. Let this be the beginning of your path to healing! Where – Where are the courses held? The Founder and Director of the Australasian Institute of Body-Mind Analysis and Psychosomatic Therapy, Hermann Muller, has trained teachers from all over the world. Courses are regularly held in major cities in Canada, USA, Australia, New Zealand and Europe. To find a teacher or a course near you, visit the International Association of Psychosomatic Therapy. To find out more about the mind-body connection go to Psychosomatic Healing.